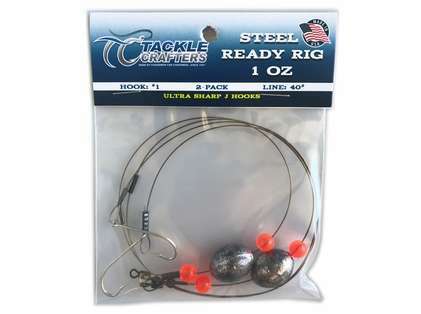 - Select Option -1/4 oz.1/2 oz.3/4 oz.1 oz.1.5 oz.2 oz. 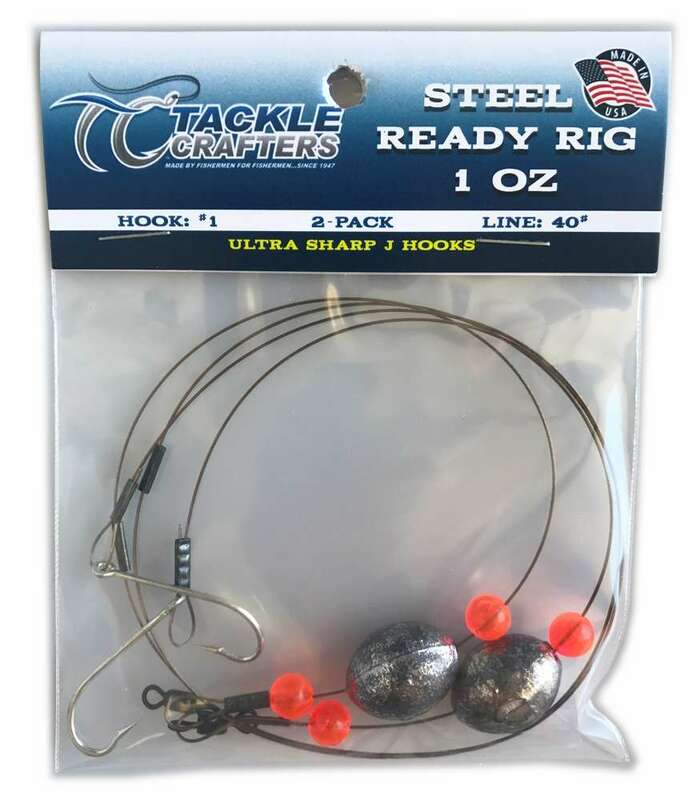 The Tackle Crafters Steel Ready Rig features 40# wire and a #1 or 1/0 3407 style hook. Weight ranges from 1/8oz to 2oz. They come 2 per pack. Made in the USA.